The OF school district’s winter break is from December 22nd to January 2nd. School will resume Monday, January 5th. This will be the last blog of the 2014 calendar year, with it resuming the week of January 5th, 2015. Have a very safe holiday season and Happy New Year! 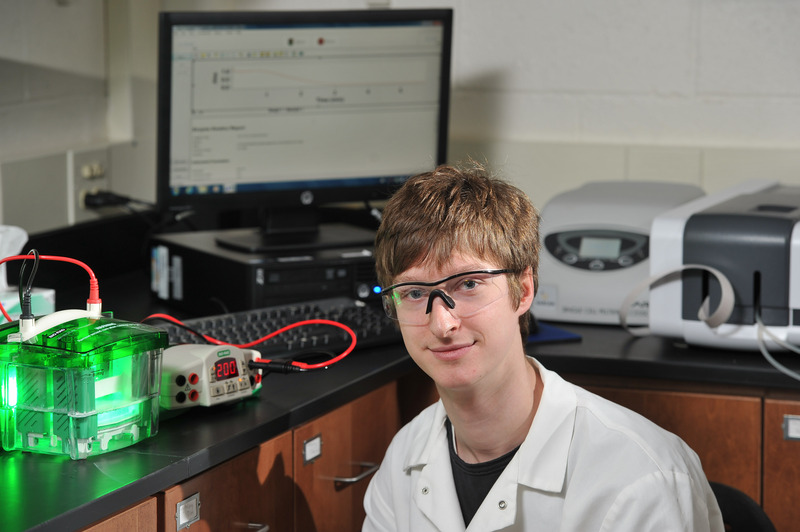 Benjamin Brown, an OFHS grad and Baldwin Wallace University senior, is listed as an author on a study that appears in the December 3rd edition of Nature. Benjamin was among the heavyweight Case Western Reserve-led scientists who developed a new chemical compound showing “extraordinary promise in restoring function lost to spinal cord injury. The study details remarkable new research on a peptide that helped to heal paralyzed muscles in lab animals. Brown, 21, and a Columbia Township resident, is a neuroscience/chemistry major. 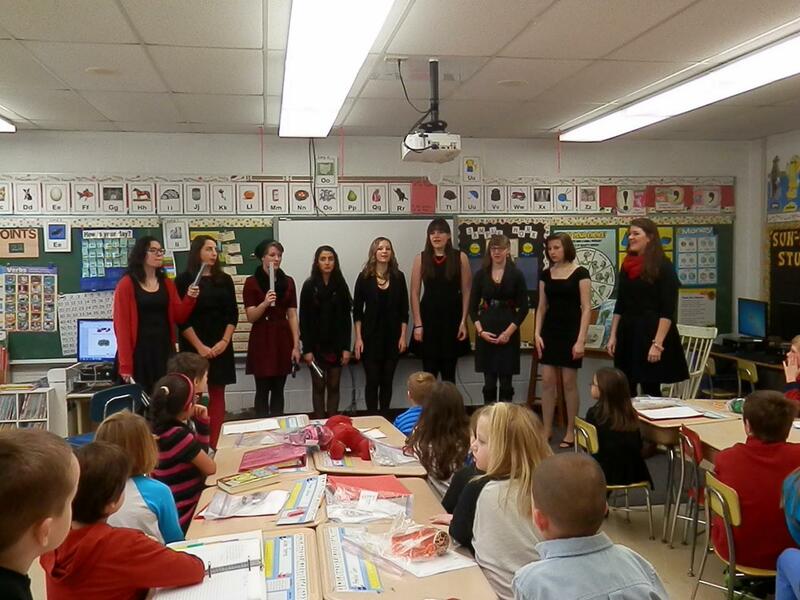 OFHS band and choir students continued the annual tradition of holiday caroling in classes throughout the district. 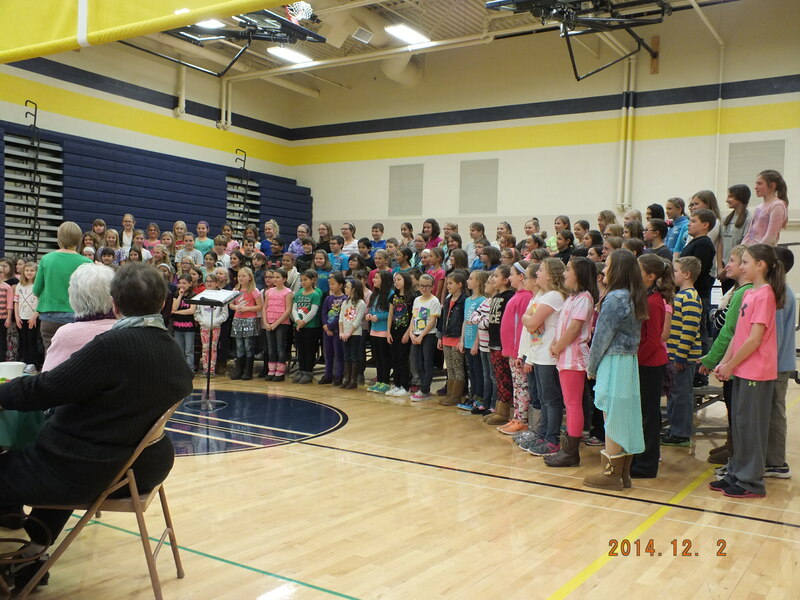 They performed in each of the district’s school buildings. The choir also sprang a flash mob on unsuspecting people at the Great Northern Mall. To see a photo gallery of the caroling, click here. Congratulations to Falls-Lenox Health Aide Margie Strekal and OFHS Medical Assistant Mary Harding for being recognized by PSI (Partners for Success and Innovation) with the organization’s annual Excellence In Service award for their respective positions. PSI gives these awards annually, which are based on evaluations and feedback from building principals. 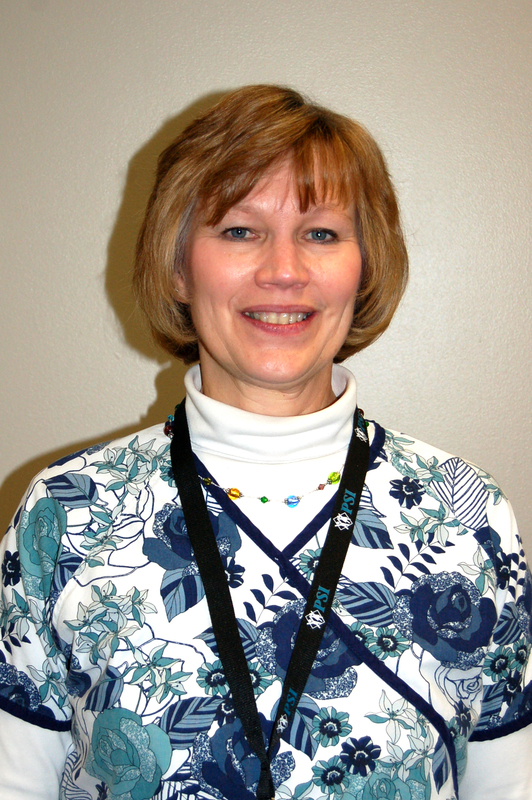 Kudos to both Margie and Mary for providing stand-out health clinic services to the students of Falls-Lenox and OFHS! A sincere thanks for the special care and attention you provide to students each day. 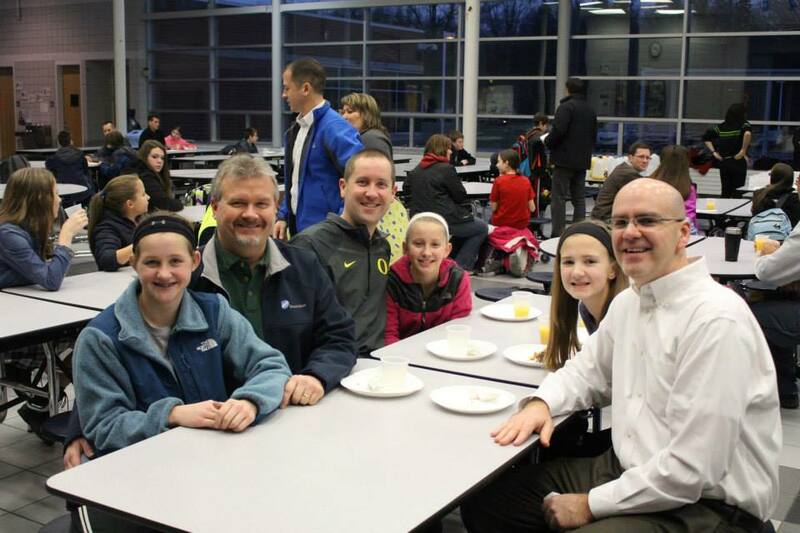 Dads, grandpas and others who attended the OFMS PTA Donuts with Dad had a great time. They had a chance to attend one of two sittings last week. Those who were not PTA members had a chance to fill out a form at the event to join the group. A big ‘Thank You’ to all who shared this time with their child, grandchild or family member. To view a photo gallery of the event, click here. 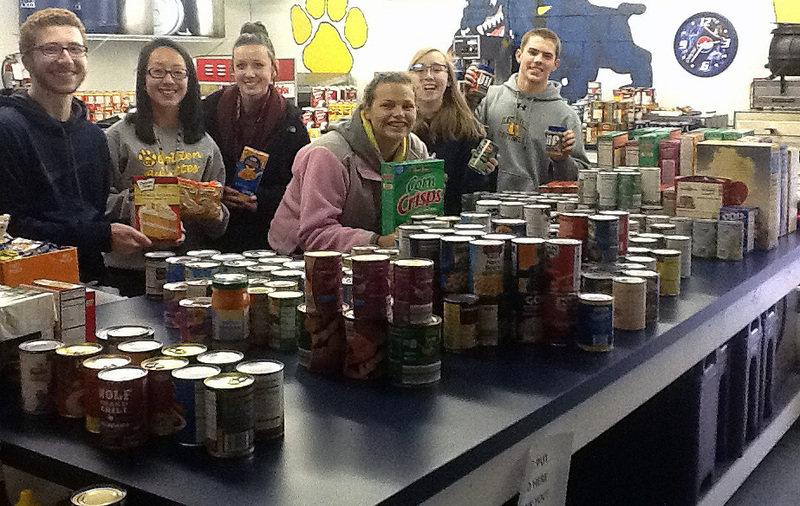 A big thank you to all who supported this year’s Student Council Food Drive. Donations included 2, 032 items, all of which will help needy families in the Olmsted Falls/Township communities! The drive’s nine-year total amounts to 17,022 food items. A special thank you to Sean Pellerite, winning homeroom for the fourth time in six years; Dawn Moses, runner-up homeroom; Judy Crandall, for adding to this collection effort through her Holiday Concert; Ed August, for offering up the Little Debbies for any homeroom over 150 and the entire Library, custodial, housekeeping and grounds staff for helping us store and move all this food. Pictured in this photo are Zach Buchta, Amelia Le, Connie Saylor, Marisol Lambermont, Erin Hetchler and Matt Archual, who are Student Council members. Others who played a big part on “moving day” were Alyssa Tonissen, Michael Doherty and Samantha Finnerty. All are invited to attend the Thursday, December 18th wrestling events at OFHS. The night begins at 5:50 p.m. when Bulldogs seniors will be honored. The first of three matches then start at 6 p.m. with our Bulldogs against Brecksville. North Olmsted vs Brecksville will follow that match with the Bulldogs pitted against North Olmsted in the final contest. 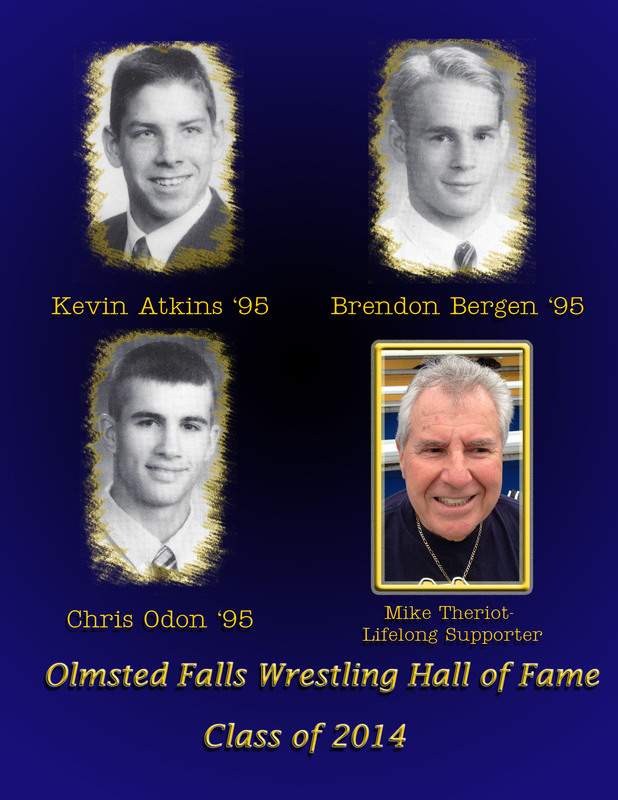 Also that night, the newest class of the OF Wrestling Hall of Fame – Kevin Atkins, Brendan Bergan, Chris Odon and Mike Theriot – will be honored. All four have supported and represented OF wrestling to the fullest. Attend and cheer on all the Bulldogs, current and former. 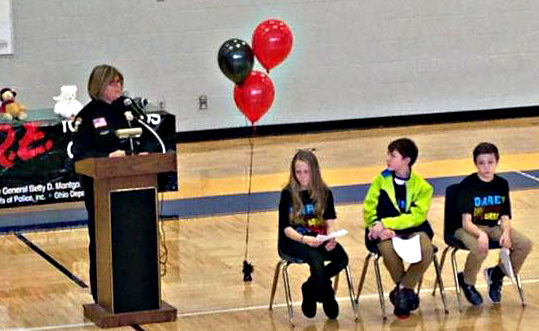 Parents of all sixth graders were invited to the DARE Graduation program Monday. OFMS Principal Mark Kurz and Olmsted Township Police Officer Jackie Ketterer, as well as participating students, spoke to the crowd. The annual DARE program teaches children how to resist peer pressure; gives children 8 ways to say, “No;” informs children of the dangers of smoking, alcohol, and drugs; provides children with ways to deal with bullying as it relates to social media; and teaches children that policeman are here to help us stay safe and make good decisions. Congratulations to all of our sixth graders for their completion of this important program! The OFAB sportswear will be sold during Friday, December 19th basketball game at the high school. The group will be there from 5:30-9 p.m. selling Bulldog apparel. This is a chance to purchase last-minute Christmas gifts. Items include hoodies, sweatpants, Tervis tumblers and many more. OFAB sportswear will be sold at the boys basketball game this Friday, December 19th. We will be there from 5:30-9pm selling bulldog apparel. Get your last-minute Christmas gifts! We have hoodies, sweatpants, Tervis tumblers and much, much more! 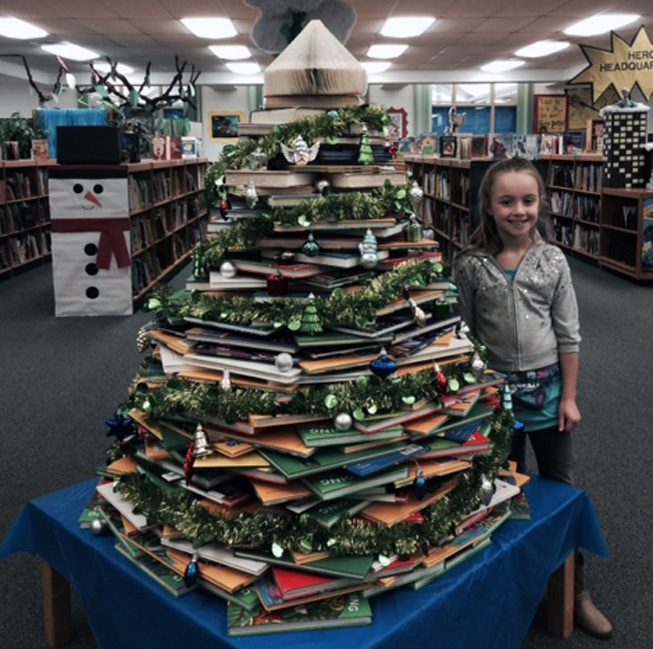 Falls-Lenox Library staff created a holiday tree with books and asked students to guess the number of books that made up the tree. Madison Bond, a third grader in John Klembarsky’s class, won the contest, guessing 310 – which was only one number away from the 309 books used. Congratulations, Madison. 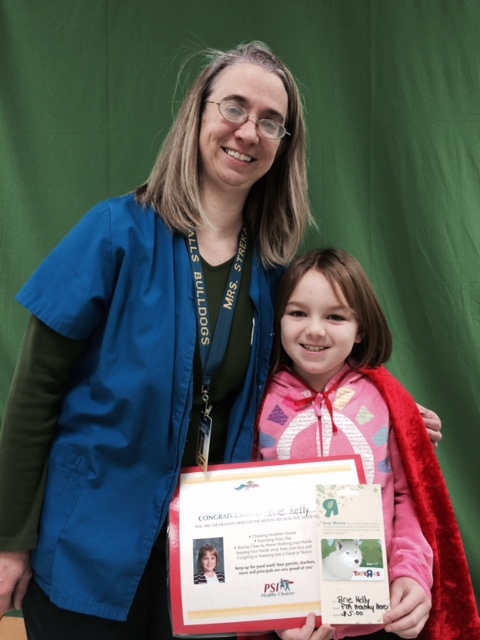 Brie Kelly was the Falls-Lenox Healthy Hero for November. 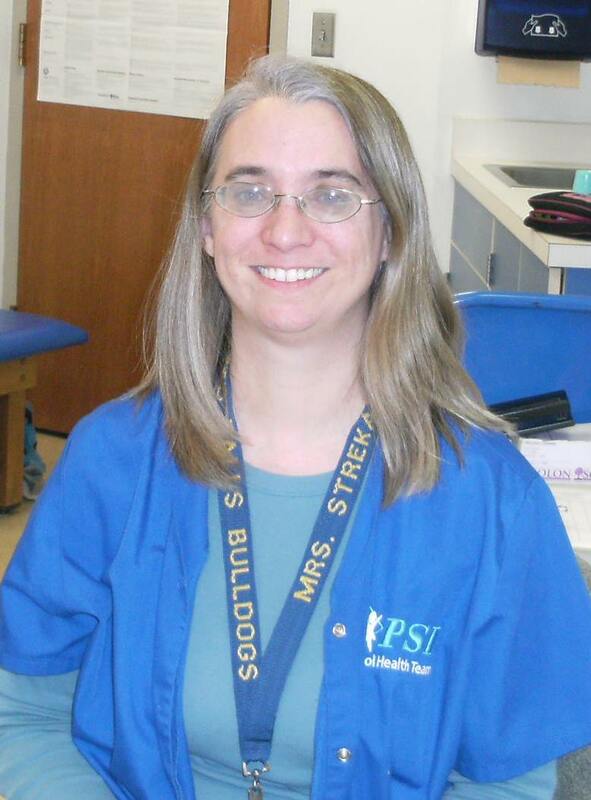 She is seen here with Mrs. Margie Strekal, a health aide. The program is in Falls-Lenox and ECC. It helps teach kids healthy habits, such as eating properly, power washing hands, daily exercise, coughing and sneezing into one’s sleeve and sleeping well. They earn a prize for doing healthy tasks at home. Each month one is selected from a drawing and receives a Toys-R-Us $5 gift card. 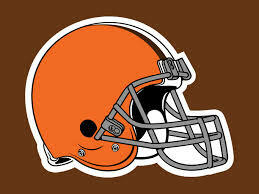 OFHS Post Prom is raffling off an authentic Cleveland Browns helmet signed by Brian Hoyer. It comes with a certificate of authenticity. There are only 221 squares to sell. Each square is $10. Please contact any post prom committee member or Beth Kopycinski at 440-668-0368 to purchase squares. 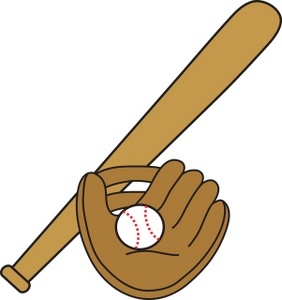 Please follow this link to register ONLINE for the 5th Annual OFHS Baseball Holiday skills camp Dec 22-23. COST IS $35 and includes a Dri-fit shirt!! Many did not have enough time in class to complete the activities so they were encouraged to continue them at home. Many did and brought in their printed “Certificate” to share with their classmates and teachers. Students are encouraged to continue learning about “coding.” The website, code.org has several resources for students and parents, including links to local camps that teach computer coding. To view a photo gallery showing many students participating, click here. 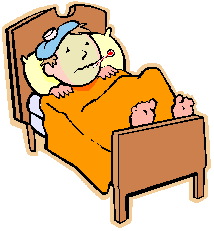 ‘TIS THE SEASON – IMPORTANT TIPS TO HELP PREVENT SPREAD OF ILLNESSES! Research shows children who eat a nutritious breakfast are healthier, more attentive, more social and perform better in school. Eating a healthy breakfast not only fuels children for the day, but it also allows children to learn lifelong healthy eating behaviors. Breakfast in OF schools consists of an entrée (i.e. cereal, toast, eggs, burritos, breakfast sandwiches, breakfast pizza, etc. ), fruit and milk. An entire month’s breakfast menu is on the our website by clicking here. Also available is “Breakfast in a Bag”. If your student arrives at school too late to eat breakfast in the cafeteria, they may eat their breakfast in the classroom during announcements. This breakfast is available to all children for the same cost as a breakfast in the cafeteria. Also, at the OFMS, is a Breakfast Kiosk where the students may grab a breakfast bag and eat in their classroom. Why not take advantage of our breakfast program. 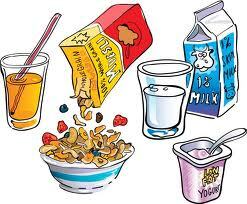 Breakfast at school provides your child with approximately 25% of their daily nutrient needs. It is a wonderful way for your child to get a healthy start to the school day and save you time and money. Remember, if your student currently receives a free or reduced price lunch, they are also entitled to receive a free or reduced price breakfast. The cost of the reduced breakfast meal is $ .30. Students receiving free lunch may come into school and also receive a free breakfast. If you have any questions, contact Denise Tabar at 427-6440. Do you know any elementary aged girls interested in science, math or hands-on projects? 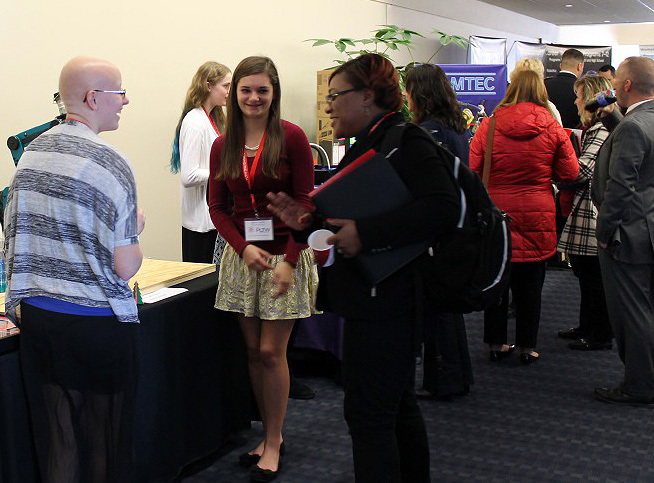 Then they may be interested in signing up for the 16th annual Kids’ Career Day sponsored by The University of Akron, Lockheed Martin and Margaret Donovan on February 28th, 2015! Kids’ Career Day is a ½ day program that is designed to involve children in first through sixth grades in interactive activities related to occupations in engineering, science, technology, and math. Each activity at Kids’ Career Day is led by and showcases professional women who are currently employed as scientists, mathematicians, and engineers. The program is held at the University of Akron Campus, Student Union and registration is limited and often closes prior to the registration deadline. Cost is $9.00 per girl and includes continental breakfast and snack. In addition each child will get to take home what they build and a bag filled with mementos of the day. Registration forms can be found by going to www.wiep.uakron.edu and clicking on the link for Summer Camps/Kids Career Day or by filling out a Kids’ Career Day registration form attached. Forms can be e-mailed to hec9@uakron.edu or mailed to Heidi Cressman @ Auburn Science and Engineering Center, 201 Akron, OH 44325-3901. Credit card payment is accepted online at www.wiep.uakron.edu and clicking on the link for Kids Career Day or participants may pay by check made out to “The University of Akron, Women in Engineering Program”. Registration will not be accepted on the day of the event. Payment is non-refundable. The program is able to accommodate 300 girls and the event fills up almost every year, so register early to save your spot! Registration is now available and ends January 31st, 2015 (no exceptions). Two information sessions are available for students to attend on Wednesday, January 21st at 7:05 AM and 2:20 PM in the library. Students should plan to attend ONE of these sessions to receive scores and find out how to improve scores for the SAT. If students are unable to attend either session, please contact Mrs. Caldrone 440-427-6152 or acaldrone@ofcs.net. Please click HERE for schedule of upcoming ACT Prep classes being offered by Polaris Career Center – on campus and online options available – for January and February 2015. Support the OFHS Junior Class officers as they raise money to reduce the price of prom tickets. Dine in or order carry-out food at Great Northern’s Applebee’s Restaurant between 11 a.m. to 9 p.m. TODAY – Wednesday, December 17th. Please bring the flyer, which is available by clicking here. 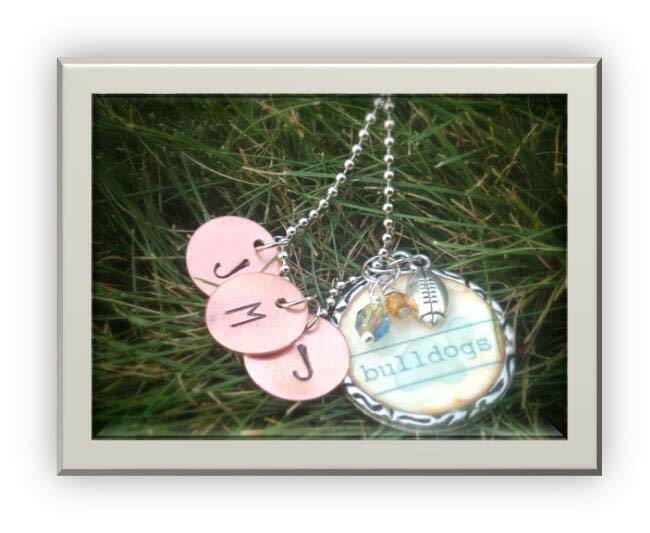 The OFHS Post Prom’s necklace fundraiser is in its final weeks of ordering a one-of-a-kind Bulldog necklace. The group will take orders through December 20th. After that date, you will not be able to obtain them. They make great Christmas gifts. To view a flyer and order form, CLICK HERE. For more information, contact laurieshand@hotmail.com or 95kopy@gmail.com. Order tasty baklava from OFHS Post Prom in two different pan sizes. The cost is $25 for the 8×8 pan and $35 for the 9×13. Each pan includes baking instructions and syrup. To order or for more details, view the flyer by clicking here. The order deadline is Saturday, December 20th. Buy your tickets now as the OFHS Hockey Team plays Cleveland Heights’ team at Quicken Loans Arena Saturday, December 20th. Their 4 p.m. game is played prior to the Lake Erie Monsters who will compete against Grand Rapids Griffins at 7 p.m. All players, coaches and fans will need a valid Monster ticket to enter the youth event, plus the first 5,000 fans will receive Lake Erie Monsters ear warmers. Click here to order tickets, which are discounted to $12 from the usual $24. For questions about the game, contact Coach Brian Thompson. Congratulations to the eight newest members of the Société Honoraire de Français (aka French Honor Society) at OFHS. An induction ceremony was held on Monday, December 8th in the High School Library Media Center. The Société Honoraire de Français is a national organization, sponsored by the American Association of the Teachers of French (AATF), which honors and celebrates the achievements of the top French scholars. This year’s OFHS inductees are seniors Melania Linderman and Julia McFadden and juniors Jennifer Bertrand, Caleb Budic, Jack Hyneman, Michael Iler, Jeffrey Sommer and Brianna Wojtowicz. Congratulations to these outstanding French students! 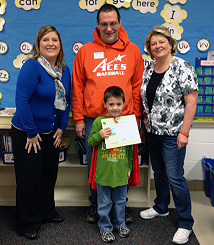 Congratulations to Joey Haas, the November ECC’s Healthy Hero. He is pictured here with his father, Mrs. Strawser and his grandmother, Mrs. Haun. The Healthy Hero Program helps teach kids in grades pre-K to 3rd healthy habits, such as eating properly, daily exercise, power washing hands, coughing and sneezing into the sleeve and sleeping well. Students earn a prize for doing healthy tasks at home. Each month, participants are entered into a drawing for a Toys-R-Us $5 gift card. OFMS Student Council teamed up with Olmsted Falls Kiwanis, Builders Club and Friends of Rachel in running a Toys for Tots drive that ends THIS FRIDAY, DECEMBER 12TH. The drive accepts any new, unwrapped toy during that time. If you would like to donate, please send any toys to the middle school. If you have questions, please contact middle school Student Council advisor, Mrs. Radigan at bradigan@ofcs.net or at 440-427-6338. 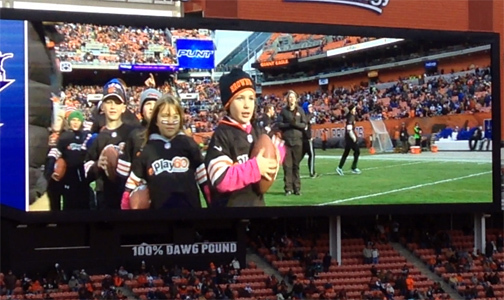 Hailey Graham, a Falls-Lenox second grader, competed in the NFL Punt, Pass and Kick competition via the Cleveland Browns organization. She originally competed at the Browns headquarters in Berea and progressed to the First Energy Stadium. At the competition Hailey, in the age 6-7 group, had only one try at punting, throwing and kicking the ball. The measurement was by distance and accuracy in feet. Although she finished fourth, she raised her personal best by almost 30 feet from her sectional scores. Under the program, she attended Sunday’s game. She and the rest of the PP&K participants showed off their skills. Congratulations, Hailey! Cost is $9.00 per girl and includes continental breakfast and snack. In addition each child will get to take home what they build and a bag filled with mementos of the day. Registration forms can be found by going to www.wiep.uakron.edu and clicking on the link for Summer Camps/Kids Career Day or by filling out a Kids’ Career Day registration form attached. Forms can be e-mailed to hec9@uakron.edu or mailed to Heidi Cressman @ Auburn Science and Engineering Center, 201 Akron, OH 44325-3901. Credit card payment is accepted online at www.wiep.uakron.edu and clicking on the link for Kids Career Day or participants may pay by check made out to “The University of Akron, Women in Engineering Program”. Registration will not be accepted on the day of the event. Payment is non-refundable. The program is able to accommodate 300 girls and the event fills up almost every year, so register early to save your spot! Registration begins on December 15th, 2015 and ends on January 31st, 2015 (no exceptions). Pick up is Tuesday, December 23rd from 5-7 p.m. at OFHS. Preparation is the best way to minimize test-taking anxiety! 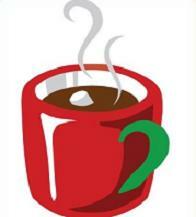 Come to the Cocoa & Cram Study Session from 2:16-3:30 p.m. Monday, December 15th in the OFHS Café. Learn study strategies and test-taking tips. To view some of those tips and online resources, click here. Remember: exams are 20% of your semester grade. The grade calculator is online at the OFHS homepage to help calculate your semester grade. 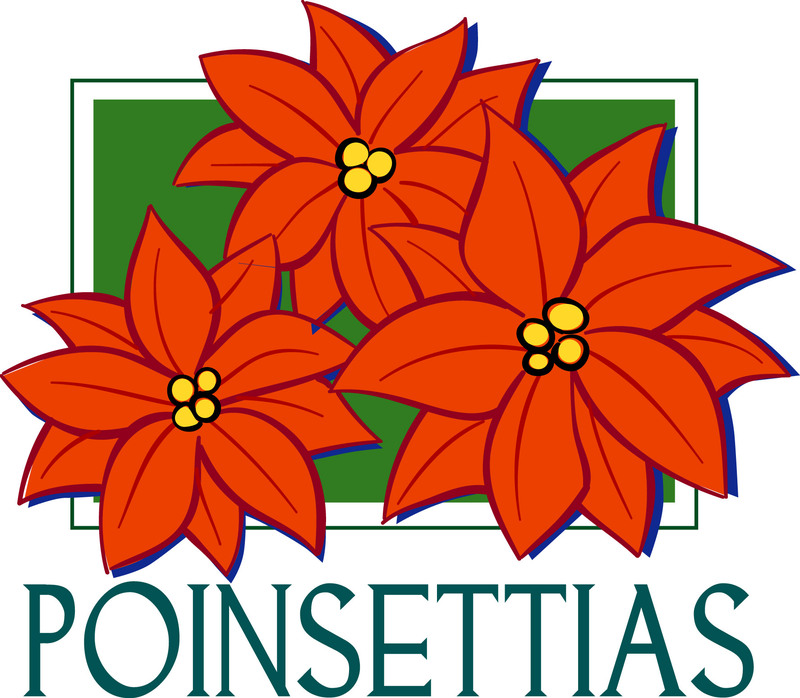 The National Honor Society Poinsettia Sale runs through December 16th. Please consider supporting National Honor Society through a poinsettia purchase. Simply complete the attached form and return it to the high school with your preferred method of payment. Funds earned from this sale help support NHS inductions, Chapter scholarships and Relay for Life. Thank you in advance for your support! To download an order form, please click HERE. All interested parents are welcome to attend the OFHS Masquers/Forensics meeting at 7 p.m. Monday, December 15th in the HS Room W3. See what great things are happening in this activity. Support the OFHS Junior Class officers as they raise money to reduce the price of prom tickets. Dine in or order carry-out food at Great Northern’s Applebee’s Restaurant between 11 a.m. to 9 p.m. Wednesday, December 17th. Please bring the flyer, which is available by clicking here. Keeping Bulldogs parents informed is a top priority for Olmsted Falls School District. The District is pleased to announce the launch of a new website designed to provide parents and community members with information on Olmsted Falls curriculum, instruction and assessment (CIA). This specialized website (http://olmstedfallscia.weebly.com) will continue to evolve as additional information and resources become available. Parents and community members interested in learning more about curriculum, instruction and assessment including Common Core Standards, PARCC Assessments, Instructional Strategies and many other topics of interest will find a wealth of information on the new site. As districts throughout the state and across the country move forward with implementation of the updated standards, it is important that parents have the latest and most accurate information available. Parents who may have questions about the information on the new Olmsted Falls CIA website, or any curriculum areas that may not yet be included on the website, are invited and encouraged to contact Assistant Superintendent Kelli Cogan at 427-6000 or kcogan@ofcs.net. We hope you enjoy exploring this new information resource and encourage you to check back regularly for new information. The calendar for the 2015-2016 academic school year for Olmsted Falls Schools has been approved by the Board of Education and is now available on-line. 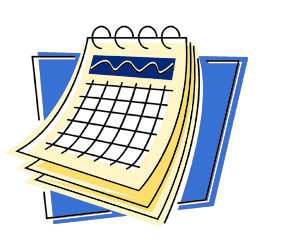 To access the 2015-2016 calendar for NEXT school year, please click here. The order deadline is December 20th. KIWANIS SPAGHETTI DINNER WITH SANTA – TONIGHT FRIDAY, DECEMBER 12TH – 5 to 7:30 P.M.
Olmsted Kiwanis will again host the popular Kiwanis Spaghetti Dinner with Santa on Friday, December 12th from 5:00 – 7:30 p.m. at the OFHS Cafeteria. Dinner includes spaghetti, salad, roll, beverage & dessert. Adults (13 & over) $8; Children (6-12) $6; Seniors (60 & over) $6; Kids 5 & under eat free! Visit with Santa! Door prizes and crafters! Make attending this fun evening a holiday tradition for your family! Hope to see you there! 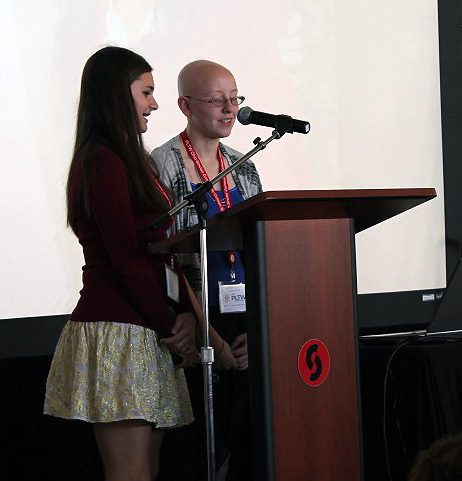 Stephanie Schroth and Joselin Rabbitt, OFHS/Polaris pre-engineering students, gave a presentation to the Ohio Project Lead the Way (PLTW) Conference November 20th in Dayton. There are more than 343 schools in the state that have PLTW programs. More than 400 guests attended the conference, which is held annually. The girls presented on their success with Robotics at the SkillsUSA competition earlier this summer. For more details on PLTW, click here. Kudos to Stephanie and Joselin for representing Olmsted Falls with your professional and impressive presentation! The competition includes cup stacking for at least 30 minutes in a row to be part of the Guinness World Records for the most people around the world cupstacking in one day. Locally, grade 4 and 5 students participated in four stations: free style stacking, timing station, relay station and head-to-head competition. The students received a certificate and sticker to prove they were part of the big day! 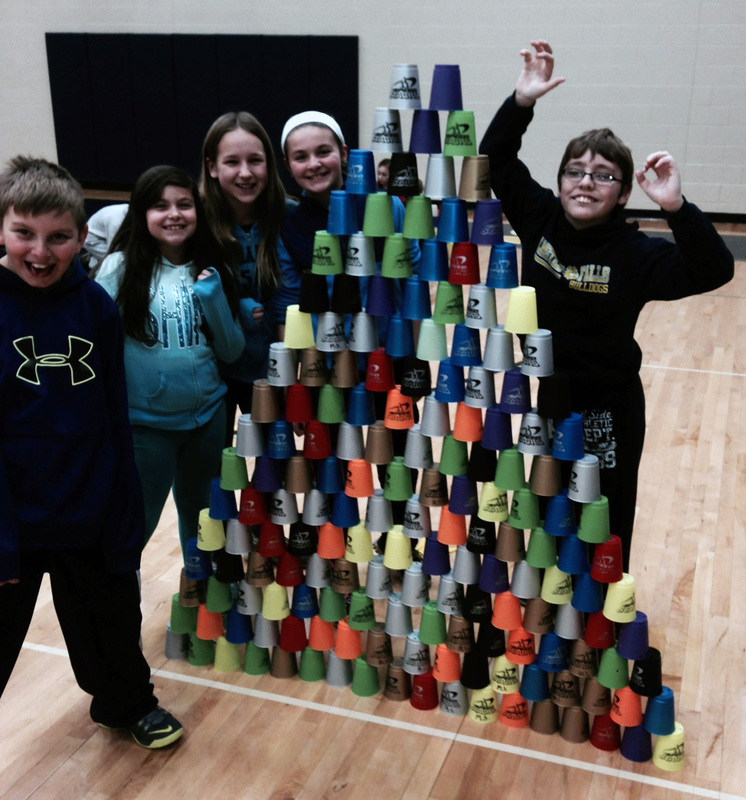 To view a photo gallery of the cupstacking activities, click here. Next week, students in 57,000 classrooms around the world will learn their first Hour of Code, jumping into a field that can change the rest of their lives! It is a one-hour introduction designed to demystify computer science and show that anyone can learn the basics. Also in that one hour, students – and teachers – can learn that computer science is fun, easy and accessible at all ages. 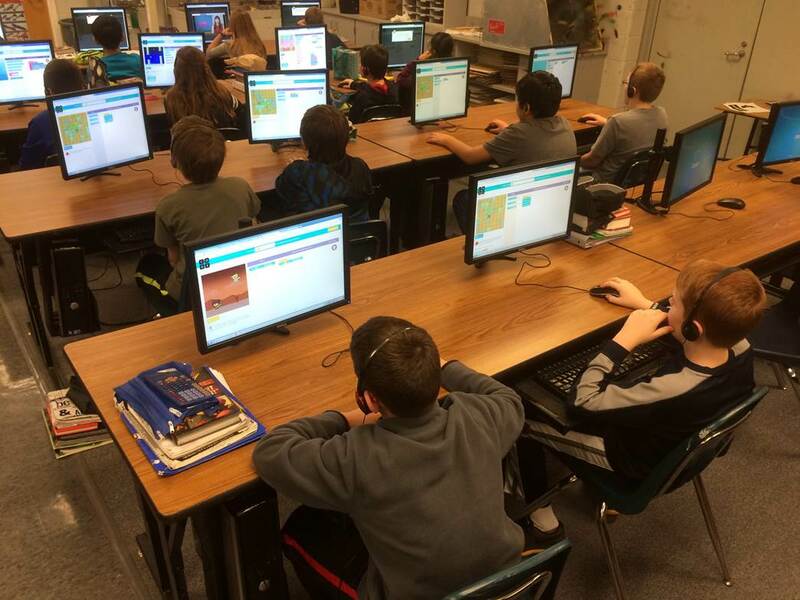 Students and teachers in Olmsted Falls are being encouraged to participate in the Hour Of Code by joining in the FREE online simulations. Students will also be encouraged to continue their study of computer programming outside the classroom by continuing the online simulations that can be found by clicking here. Dads, Grandpas and any other man who likes spending time in your child’s life is invited to OFMS PTA’s Donuts with Dads. You may attend the event from 7:45-8:20 a.m. either on Wednesday, December 10th or Thursday, December 11th in the school’s cafetorium. Don’t worry. If Dad can’t make it, Moms are always welcome. Although this is a PTA Members Only event, Dad can still sign up to become a member now – or at the door. Simply fill out the form by clicking here and submit it with your dues prior to the event. If you’re unsure whether you’re a member, email 8675309abbott@gmail.com. This event is included in your dues. Be sure to reserve your spot by December 5th. Space is limited. Just click here to upload the Google link and reserve your spot. The Olmsted Falls Alumni Association hosted its annual holiday luncheon for retired bulldog staff members Tuesday at OFIS. 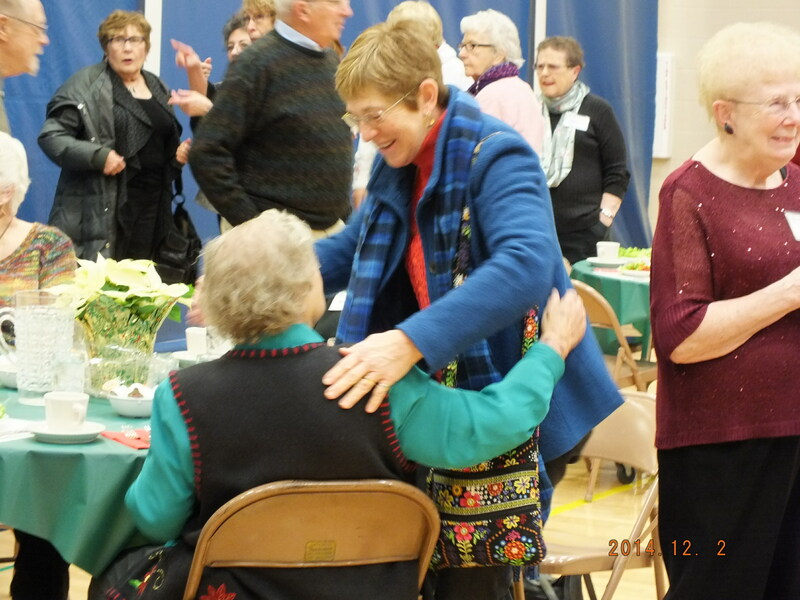 Fifty-six retired Bulldogs attended at this popular event, which the Olmsted Falls Board of Education sponsors to recognize the contributions and lasting impact of the District’s retirees. Retired staff members enjoyed a hardy beef brisket lunch that Ms. Denise Tabar and the outstanding food services department at OFIS prepared. Lunch was served by Mr. Jim Ryan’s OWA students from OFHS. Guests were also treated to a selection of holiday songs by the 4th and 5th Grade Chorus, directed by Mrs. Kelly McClellan. To commemorate the event, Ms. Sue Magnone, OFIS Art teacher, created beautiful tree ornaments for the guests to take home. Mr. Don Svec, Mr. Mark Tabar, OFIS student ambassadors, and OFIS custodial staff created a hospitable environment for all the guests. To view additional photos from the event, please click here. 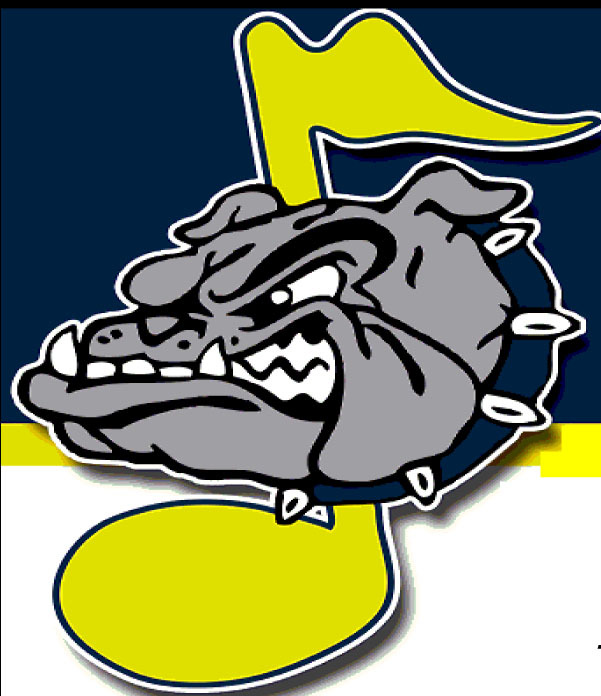 The Olmsted Falls Music Association and music students will be very busy this month and after the winter break. To view OFMA’s December 2014 issue of Musical Notes, click here. 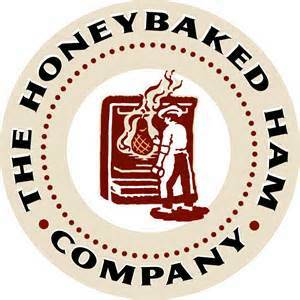 The newsletter contains information about upcoming holiday performances, hoagie sale and other items. There still exists a small percentage of students whose parents need to complete the annual, required student information update through InfoSnap for the current 2014-2015 school year. Please note that this information MUST BE UPDATED BY DECEMBER 5, 2014 or your son/daughter will be prohibited from attending school after December 5, 2014. This annual update includes important Emergency Medical and Emergency Contact information and is critical to the safety of your son/daughter. 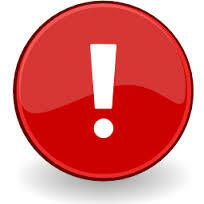 Those families who have not yet completed the online student information update have been contacted numerous times in multiple ways regarding this required information update. The required student information update must be completed by logging into your PowerSchool parent account (https://psof.nccohio.org/public), and then clicking on the “InfoSnap” link, located on the left-hand side of the screen. Updates must be made separately for EACH student in your household, however the system will automatically transfer basic information changes made in the first student’s record (i.e. address or phone number) to the next student’s record to make the process of updating multiple students more efficient. If you have been receiving notices and have not yet logged in to complete the update process, please contact the office at your child’s school building immediately. Assistance can be provided for those who may not have access to a computer or the internet. Thank you for helping us ensure that we have the most up-to-date information for your child each school year. 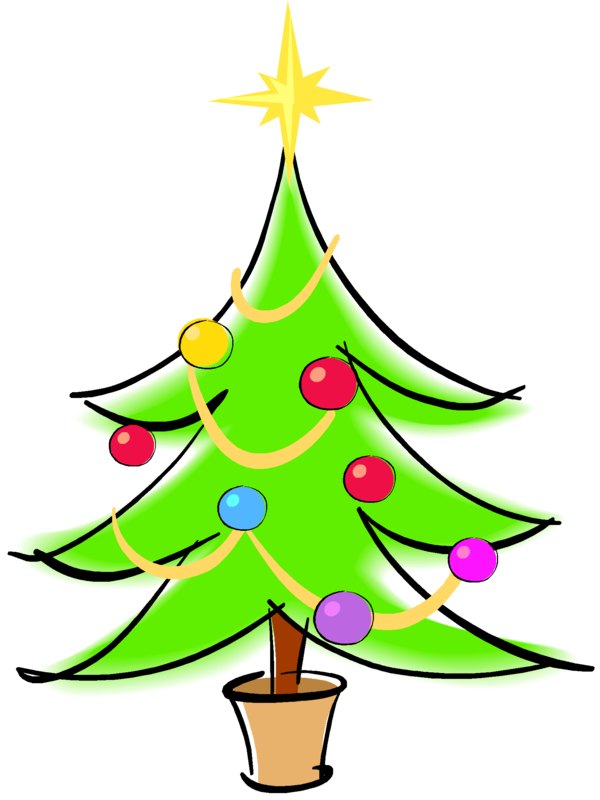 Support the OF Music Association by purchasing a Christmas tree at the group’s annual Tree Sale. 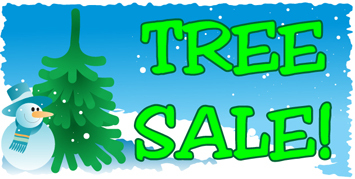 The trees, which are in front of the school, will be on sale from 6-9 p.m. December 5th; 10 a.m. to 9 p.m. December 6th and 9 a.m. to 1 p.m. December 7th. Trees that are 8 foot and under are $45; 8 foot and taller, $55. Help will be available for trimming your tree and carrying it to your car. Helping Hands annual Holiday Party is Friday, December 5th from 5:30-8 p.m. in the OFMS Cafetorium. This family-friendly event includes dinner, dancing, crafts and games. Tony K’s is catering the event with cookie decorating as the dessert! To see a flyer of the event and its cost, click here. The National Honor Society Poinsettia Sale is officially underway and will run through December 16th. Please consider supporting National Honor Society through a poinsettia purchase. Simply complete the attached form and return it to the high school with your preferred method of payment. Funds earned from this sale help support NHS inductions, Chapter scholarships and Relay for Life. Thank you in advance for your support! To download an order form, please click HERE. 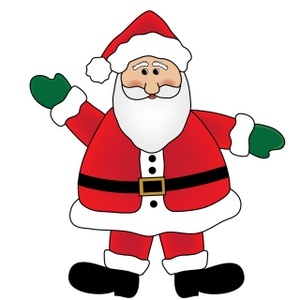 On Saturday, December 6th, from 9 a.m. to 1 p.m., Cub Scout Pack 102 presents Santa’s Secret Shop at Falls-Lenox Primary School. 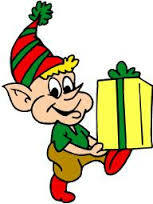 Kids may shop for holiday gifts for family and friends with the help of elves and visit Santa. Grownups may buy tickets for a holiday raffle of such great items as an Xbox One gaming system and Vitamix blender. Admission is free with all proceeds benefiting Pack 102 in Olmsted Falls. 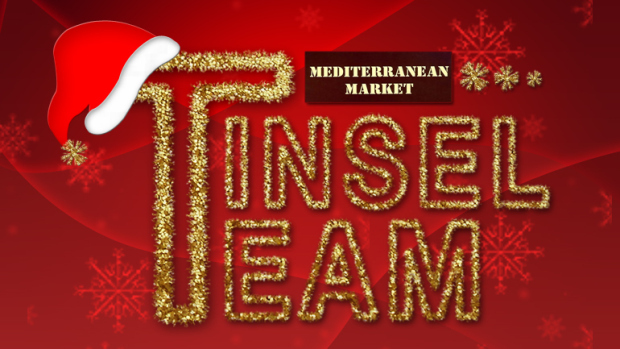 This Saturday, December 6th, Cleveland’s New 102 FM WDOK’s Tinsel Team will be at Mill River Plaza’s parking lot from 11 a.m. to 1 p.m. There will be prizes and giveaways for everyone. Stop by and join the fun. OF Boy Scout Troop 201 has its annual Christmas Tree sale at Schuster’s Greenhouse, 9165 Columbia Road, over this weekend – December 6th-7th. Hours are from 9 a.m. to 5 p.m. Saturdays and 11 a.m. to 5 p.m. Sundays. Pick out a Scotch pine, Fraser fir, white pine or other tree as helpful scouts carry it to your car. Have questions? Call Mike Knaggs, 440-610-8465 or email msknaggs92@sbcglobal.net. Enjoy holiday fun December 6th at the Grand Pacific Junction, which will celebrate its Christmas Frozen in Time. The open house includes snow dogs in the gazebo from 11 a.m. to 4 p.m.; OFMS Golden Harmonies Christmas Carolers, noon to 2; horse-drawn wagon rides, noon to 3; Stories with Santa in the Depot, 1-:3:30 and others. Tickets for Santa and Wagon Rides are at Dolls and Minis, 440-647-1516. Collect snowflake letters at participating stores and solve the word puzzle to enter a $100 prize contest. Pick up a coloring picture of your favorite Frozen characters and return them by December 15th to win a prize in age groups 2-4, 5-7 and 8-10. For more details, click here. 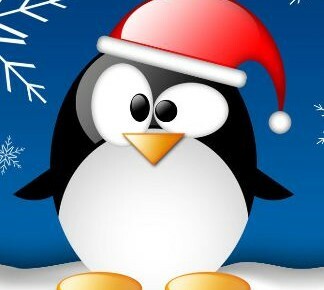 ANNUAL KIWANIS SPAGHETTI DINNER WITH SANTA – FRIDAY, DECEMBER 12TH – 5 to 7:30 P.M.